Padking Pro X Tablet is now one of the best and most affordable Tablet in Nigeria with unbeatable features such as 8000 mAh battery capacity, 4GB RAM, 32GB ROM, 4G LTE network, Dual Sim, Android 7.0 OS and 10.1" inch High Capacitive Screen display. 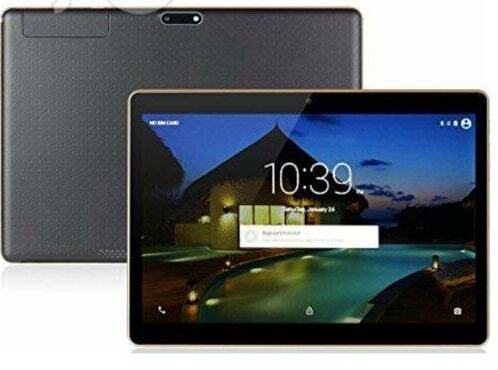 Padking product is no longer new in Nigeria and if you are looking for a good tablet with good strong battery, 4G network and other great features then think about Padking Pro X Tab and you will not be disappointed because it's currently the best budget Tab you can get with such amazing features. In case you wish to know more about Padking Pro X Tab, it is marketed and distributed Nationwide by Padking Global Resources Ltd, located in PH and their Business Address is, Suite 12 No 27, Chief Tata Plaza Rumuomasi Road, Port Harcourt, Port Harcourt, Rivers, Nigeria. Padking Global Resources Ltd dedicated all their resource making sure they bring the best Padking product to your doorsteps at an affordable Price making it convenient for you to own one of the best and affordable tablets that have got all the goodis to offer for less. Free Stylus Pen and screen wipe, pouch. Worth almost N5000, Gat all at a Promo price N34000 now, you can't get Padking pro X this price anywhere in Nigeria. If you like Padking Pro X and wish to buy one from anywhere in Nigeria then you have nothing to worry about, you are in a safe hands and only need to call 08067631085 to place your order, you don't need to panic or be afraid of sending money to scammers, just keep 34,000 ready and only pay when the product is delivered to you. To make it clear just call Padking Global Resources Ltd and tell them you need the tab and they will bring it to you before you pay them just to show you they are not joking. Important: For more discount always tell them that you get the info from Xtremeloaded or from Everest. If you still want to know more about this tab then see the full specifications below and if you have any question to ask then feel free to ask and I will respond as quickly as possible. Yes if you face any problems with your Padking Tab share it here using the comment option below or call the above phone number for more help.